Family and friends of Francisco Felix are raising money to pay for uninsured medical expenses associated with transplantation. The father of four has not been able to work and help support his family for about 2 years. He is staying positive and hopeful that somehow, some way, a miracle can happen and he may be given a second chance at life. He was diagnosed with Hepatitis C in 2006, and in mid 2010 he was diagnosed with cancer of the liver. 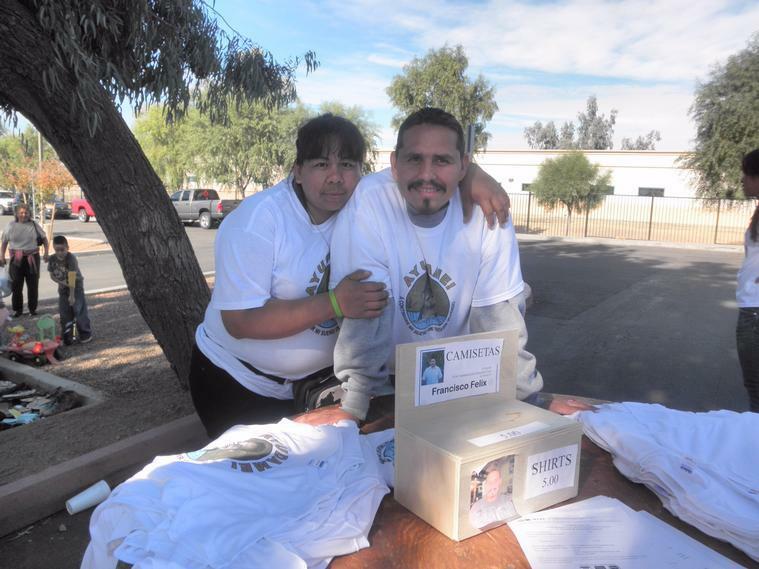 Francisco has Arizona medicaid insurance and for budget reasons, the state made the decision to cut back funds for some transplant patients. He is one of the many people affected by this unfortunate situation. In mid November, life seemed to have changed for the good when a family friend unexpectedly passed away and had donated her liver to Francisco. However, as the budget cuts had become effective October 1st, he and his family had to come up with $200,000 by 10:00 am the morning after the friend passed away. It was a very tight and short time frame. Sadly the money was unavailable and Francisco was sent home empty handed. In early December, Francisco was informed that his life expectancy without the transplant is about 12 months. Please help Francisco and his loving family reach their goal, and his second chance at life. His greatest wish is to be priviledged to see his 4 daughters walk down the aisle. The hospital has informed Francisco that he must raise $500,000 for the transplant procedure and post-transplant care. Francisco has chosen to fundraise with HelpHOPELive – The Leader in Fundraising Assistance and Support for Transplant and Catastrophic Injury in part because HelpHOPELive provides both tax-deductibility and fiscal accountability to contributors. Contributors can be sure that funds contributed will be used only to pay or reimburse medically-related expenses. For more information, please contact HelpHOPELive at 800-642-8399. December 15, 2010 MSNBC’s Countdown with Keith OlbermannThirteen-year-old Carlos Olivas, Jr., talks about his attempts to raise money for a liver transplant for Francisco Felix of the NTAF Southwest Liver Transplant Fund. 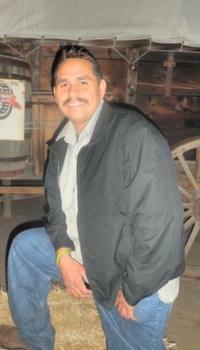 In reply to the Enders Family, California: Thank you for your concern for Francisco Felix. Tragically, a second transplant patient in Arizona passed away last week. However, this patient was not Mr. Felix, nor any of the other transplant candidates who are fundraising through NTAF. Our thoughts and condolences go out to that individual's loved ones during this very difficult time. Best of luck to you my friend. I can only imagine what you are going through and I say that because I have just been put on the heart transplant list here in Miami, FL. Fortunately, I have Medicare and Blue Cross to cover most of the expenses but I would be in the same situation as you if they decided not to cover the transplant. I know there are a lot of people out there hoping and praying for you and I know you'll get the support you need from those of us who believe everyone in this country is entitled to a happy and healthy live...not just those who can afford it. Esperanza y Patrick Garcia/PHX AZ. Why hasn't the fundraising total been updated since 12/17/2010? I'm interested in helping/donating, but the total has not been updated for over 10 days. Has Mr. Felix received enough money for his transplant yet? to:Francisco Felix, hemos hecho una donacion para usted hoy, via esta pagina de web (we have made a donation to you today, via this website) to:MSNBC/Keith Olberman, thank you for always looking out for the real news and humane causes that matter. to:the voters in Arizona, why in the world are you voting into office such evil people like j.brewer, r.pearce, and j.arpaio? We are wishing you and your family all the best. querida Familia Felix.. solo les kiero decir ke no nos vamos a dar por vencidos.. los milagros okurren y Dios es grande y no nos va a dejar solos en esta lucha.. la esperanza es lo ultimo ke se pierde.. Tio no nos vamos a dar por vencidos tan facilmente.. I love you tio nd tia.. God bless our family. Hi, Francisco - I, too, learned of your story on Keith Olbermann's program and wanted to do my small part in hopefully helping you toward your goal of funding your transplant. I hope to continue with more donations in the coming months as well. I cannot understand the coldness of Gov. Brewer (nor know how she was ever elected to that office!). She is a cruel, hard-hearted person to turn her back on those whose very lives depend on her and the policies she controls in the state of AZ. I pray that you will soon meet your goal and will be on your way to a transplant. May God go with you and your dear, sweet family and bless you all. I'll keep it short, good luck bro. I'm unemployed so I couldn't do much, but it won't be the last time I try to help you. As a reminder, the purpose of the NTAF Patient Guestbook is to leave messages of support and encouragement for patients and their loved ones facing medical crises. Spam and/or inappropriate messages will be removed to preserve the intent of our Patient Guestbook. Thank you "D" and "An American"! You have shown us the light and I'm sure Francisco is calling off the fundraiser as we speak! How brilliant, avoiding liver cancer, afterall it is a choice; just like the only ways to contract Hep C is on purpose!....Why even spread your darkness to this website? No one is interested. And since you love to hear yourselves talk, rehearse what you will say when your time comes. No laws, health insurance, race/ethnicity will matter then, but the way you treated and judged others will. Best wishes for the Felix family. Francisco, I think laughter is the best medicine. Did you know that the Wright Brothers first flight at Kittyhawk lasted for eleven seconds? When they landed they couldn't find their luggage. All the best from (coffee) Beantown! Francisco, I saw you on Keith's show. Your governor has no heart, pero estamos dispuestos a ayudarle. Feliz Navidad! To the Felix family. I heard about your situation via Countdown with KO. I've sent a contribution to Team Felix at NTAF. Stay strong. Dear Francisco, I read today in the New York Times that you and your family are having a yard sale this weekend to raise funds. Can you please provide me with more information. I work with a political party here in Arizona who is interested in helping you bring more attention to this issue. Dear Francisco: your situation was brought to my attention by Keith Olbermann on Countdown and I hope with the aid of donations made through this organization you will be able to have a successful transplant and I wish you and your family all the best. Felix Family, It is my pleasure to have Carmen as one of my most engaged and invested students! She is going to achieve so much in her life and I know that she will reach her goals because of the strong support system her family has provided for her! Our thoughts and prayers go out to the Felix family! I was moved by sadness and outrage after seeing and hearing about you and your family's plight on Keith Olbermann to come here and donate some money. I never do this usually. But it's the season of giving, right? I hope that others will also, and that you will get all that you need. I cannot believe that the Arizona legislature and governor have turned their backs on people who need transplants, calling transplants "optional" services that the state doesn't need to pay for. I do not believe that the opportunity to save a human life should ever be "optional". She should be ashamed of herself. I wish you and your family the best. We are a fixed income couple (62 & 57) in Montana, and we are praying for your family and you. Hope this helps. We wish we could do much more. Love to you all. John and Janice Hammerel. Dear Francisco, Your governor and legislature in AZ may be heartless, but your fellow Americans are not. I am making a contribution to your transplant fund in the hopes that you can live and continue to be a father to your children. God bless you. I am contributing to you today. I watched your story on Keith Olbermann's show, and witnessed the strife you and your family are enduring. Please know that GOD is with you and your family and you will have all you need soon. God Bless. My friend just died from organ failure, unable to get a transplant. In Rick's memory I want you and your family to have a healthy and happy future. He would be outraged to hear what our government has done to you. Francisco, Although I am unemployed and have donated what I can, because I believe that the wicked prevail when good men do nothing. Is this what they mean by "trickle down"? Is this what they mean by "compassionate conservatism"? Best wishes in your struggle for good health. Felix Family-Stay strong; God is on your side. Espero que todo va cambiar muy pronto. Sincerely, Familia La Farge, Pico Rivera, CA PS: I will send a donation today. Hello Francisco, I saw you and your beautiful family on Countdown with Keith and I am so sorry for the unnecessary pain that Governor Jan Brewer has caused you. I just made a small donation and there are a lot of caring people in this country who I am sure will do the same. A liver match will be found for you soon! My thoughts are with you and your family. Maybe someday we will have a public option in this country, so that this tragedy won't happen to other families. Stay brave and vote Democratic! Hi Felix family, please remain positive during these tough times. I pray that Francisco receives a successful transplant. Our governor is currently on a power trip, she's making many changes, changes that affect the lives our Arizona citizens like you and me. Hopefully she will realize that she's playing with people's lives. We need changes that are for the well being of all Americans, all Arizona citizens! It's time to wake up!!! We stand united and wish you the best. Francisco mantenga fe, y espero que sepa que mucha gente le desea lo mejor y esperemos en Dios que usted tenga muchos anos mas de vida. Francisco, I just donated to your cause, thought I wish it could have been much more. Buena suerte, my friend, and know that I, my family, along with Keith Olbermann, and many others, wish you well. The Governor of Arizona needs a lesson in humanity! What an unbelievable and unspeakable situation you and your family have been placed in. I have watch both yours and Randall Shepherds stories on Countdown and feel privileged to be able to contribute to both of you. As I also told Randall, my only wish is that I could afford much more. My best wishes are with you and your family. I saw your wife speaking on Keith Olbermann's show. She did a great job and is a very gracious lady. As a nurse who is the director of surgery of a major university hospital in Chicago, I was shocked to hear of the Governor of Arizona's horrific decisions on cutting health aid to Arizona citizens.I wish you the best of luck and am humbled by your family's story. God Bless you! Heard you Flor on MSNBC. Francisco I am sending you a small check tomorrow. I hope many others will do the same. Stay positive. Acabo de terminar escuchando tu entrevista con Keith Olbermann y dejiste que no estabas segura si Obama tuviera algo que ver con la decision de Jan Brewer aunque no creias eso. Como la gobernadora, era su decision, no la decision de Obama que cortaba los fundos para tu esposo y los demas. Queria decirte eso para que sepas que no tenia que ver con Obama, solo Brewer. To the Felix family, may God bless all of you. You are a brave family!! I sent a small donation, and wish you all the best. I received a liver transplant 4 years and 5 months ago. It is totally shocking that your transplant was stopped by an uncaring government. I will pray for your transplant. I know what it's like on the other side. Life is so much better. Dear Felix family, I heard on Countdown about the crime committed by telling you that you could get a transplant and then -- oh! sorry! -- we can't keep our word. I wish I could have sent much more money but I had to quit work because of health problems and have my own battles to get the prescriptions I need to keep alive. Buenas suerte y vaya con dios y familia. No dé para arriba la esperanza. Deseo el mejor para usted y su familia. Estoy enviando un cheque hoy. Dear Felix family, I saw your plight on Keith Olberman's show. I was shocked and saddened. My sister and I decided to forgo our Christmas gifts to each other and instead donate to you and Randall Shepherd. You will be in my prayers that soon you will get your transplant and be well. It was cruel to cancel your surgery. I do not know how those who did this can live with themselves. We thank Keith for letting us know that this kind of travesty is going on in our country. God Bless you and your family. Dear Felix Family, I hope that your prayers are answered soon. I know that I have a lot to be thankful for and I hope that my small contribution helps you achieve your goal...a healthy, bright future for all of you! God Bless you and my family will be praying for you. Thanks to Keith for letting the world know of Jan Brewer's disgrace...again!! Mr. Felix, may God bless you and your family.I was moved to help after seeing you on t.v. Don't give up because The Lord needs you here. Best wishes and Happy Thanksgiving. Thank you Keith for putting this message out for America to hear. Yo vi a usted ya su hermosa familia en cuenta regresiva y le dijo a mi marido me gustaría un regalo a su médico como mi regalo de cumpleaños de él para mí. Mis mejores deseos para su recuperación. My contribution is not much, but I hope it will help. I have no health insurance, so can understand the fear involved with needing healthcare and having no way to pay for it. Have a blessed holiday season. Good luck, Francisco! You have a valuable ally in Keith Olberman! Mr. Felix, My husband and I wish to contribute to your health. We saw you on "Countdown," and we greatly lament your illness and also lament the barbaric political leadership in Arizona. Best of everything to you. Our check on your behalf will be in the mail today. Dear Felix My partner and I decided the best gift we could give each other this Christmas is giving a donation to you. Angels exist. We are angels for each other. We hope you and your family have a blessed holiday. Thank-you for being the person who gives others the opportunity to say that love for others does exist in this crazy world! Learned about your healthcare problems on Countdown. Everyone deserves good healthcare. Wish you and your family the best. I knew nothing about this until I saw you on Countdown. I am moved by your situation. I am a North Carolina paralegal who works for Legal Aid. My practice is centered around Medicaid and Social Security disability cases. I understand what you are going through because I see clients every day who cannot get the treatments they need. I hope that you are well and please know that your country is behind you and supports you and your family as you go through this challenging time. My Spanish is poor, but I will try: Aprendi sobre su situacion durante Countdown con Keith Olbermann. Tengo empatia para su situacion. Mi trabajo es como asistente legal para Ayuda Legal. Mi especialidad es en casos de Medicaid y Social Security. Entiendo su situacion por que mis clientes tambien no pueden obtener los tratamientos que los necesitan. Espero que este bien y sepa que todo el mundo apoya usted y su familia en este tiempo dificil. Mr. Felix, My wife, Adrienne, and I became aware of your situation by watching the Olberman show. I'm sending a donation and will keep you in our prayers. I will send this to my facebook friends. Warm wishes to you and your beautiful familia. Was astonished and upset upon hearing of your situation after listening to the Olberman show. Hope all goes well. Dear Felix. I wish you and your family the best and I am very sad to hear about what has happened. Thanks to Mr Olberman, more people are now informed. I was heartbroken to hear your story on Countdown. I hope that you do get your transplant and regain your health. Blessings on you and your family, Mr. Felix. May my drop in the bucket of your need be followed millions more. You are loved by more people than you realize. I pray you find a new liver very soon. You have a lovely family that needs you to be with them for a long, long time. Good luck, Francisco, to you and your family. Thanks to Keith for bringing this to light. Mr. Felix, I pray for your recovery and for the happiness of your family. I am appalled that a situation like this can happen in the United States. My family is doing what we can to help. I pray that your transplant can occur soon with the help of other like-minded Americans. Thank you Keith and MSNBC for bringing this horrifying issue to light. There are times when I am amazed at the lack of feeling on the part of elected officials. We will be strong, we will survive and we will help you too. God Bless you and your lovely family. Good luck Francisco! Hope this helps, praying for you!